I figured out fairly quickly that while making your own bread is wonderful, being tired and having to make it after a long day at the paying job, is not so wonderful. Yet we need bread, fresh bread, every morning for the two sandwiches that go into my husband's lunch. And let's not forget weekends. 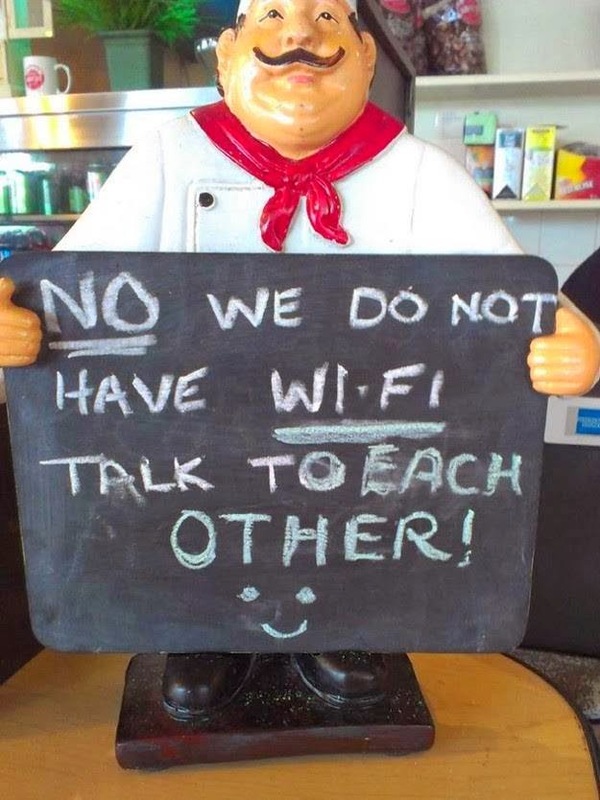 There is toast with eggs, maybe a sandwich at lunch or bread and butter along side a bowl of soup. Yep, definitely we need a constant supply of bread. 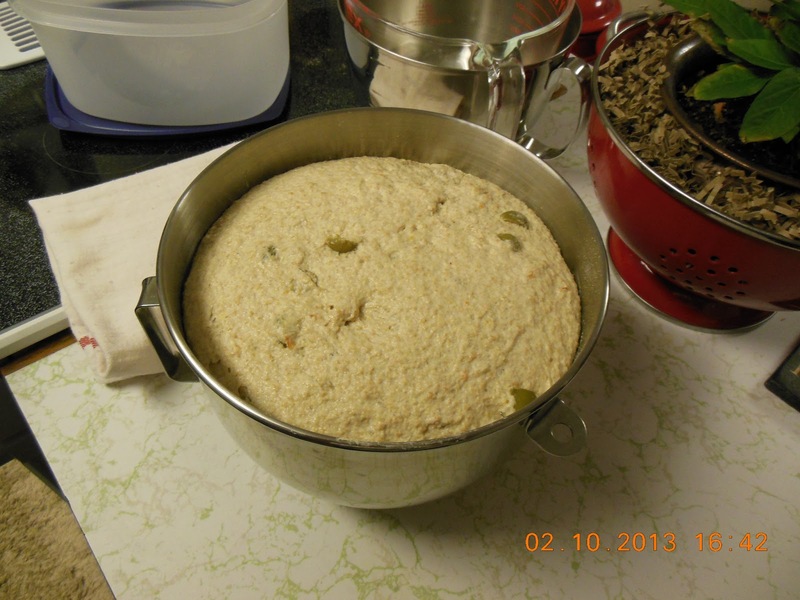 Enter cold storage dough. Every known cookbook author has a knead-less, cold storage bread book. And I have most of them. 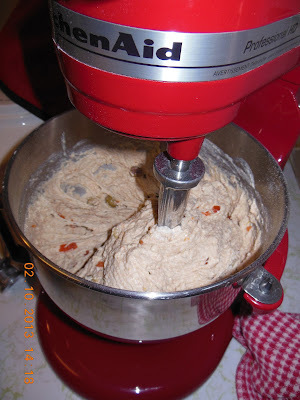 But until now, not a pressing need for cold storage dough. Enter the husband, a first class bread eater! The man is total joy to cook and bake for. But back to that tired after work and don't want to be tied to the task of bread making because I want to spend some time with the first class bread eater. This set of circumstances leads us to cold storage dough. 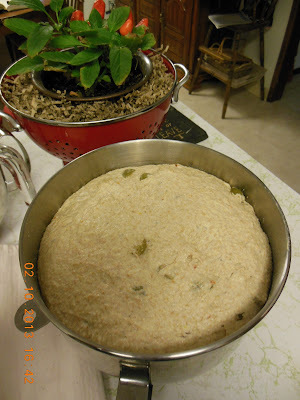 Having one or even two kinds of dough in the fridge will add variety and leave my evenings free enjoy the evening meal and share our day with the other. Cold storage dough can rise for baking, while we enjoy our evening together. Opps! 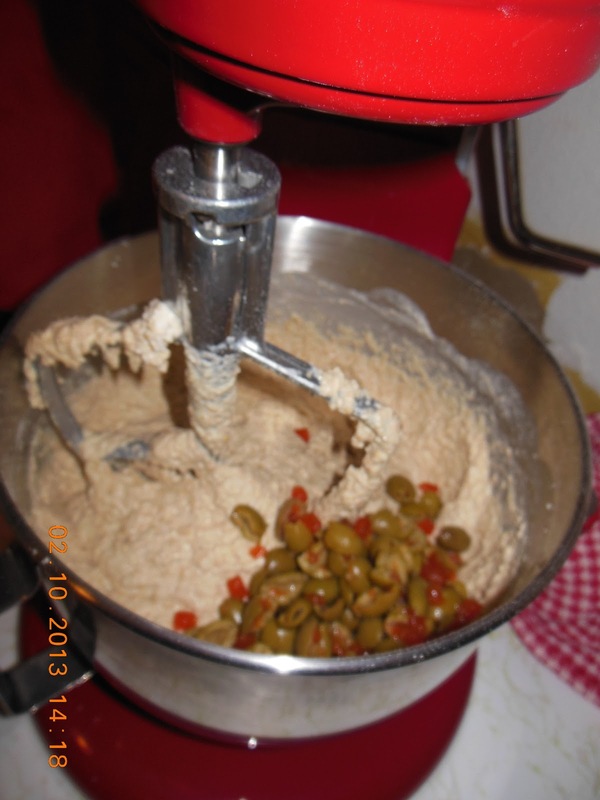 This is a very "wet" dough, and I might reduce some of the fluid in future batches. Most cold storage dough recipes are pretty much the same, mix it up, store in the fridge, remove a portion, let rise, then bake. Lets make some, shall we? Cooks Warning and possible words of Wisdom: Our kitchen is interested in delicious and healthy food. 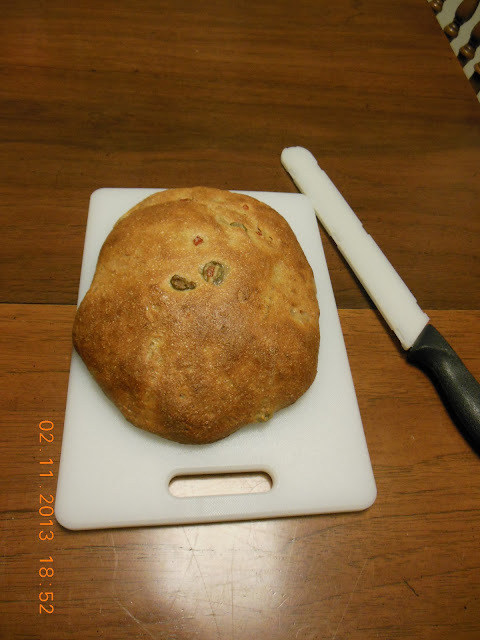 Although I love looking at beautiful food, you will find that my chosen baking method is simplified and will produce an attractive loaf of bread, but most likely not artisan in beauty. 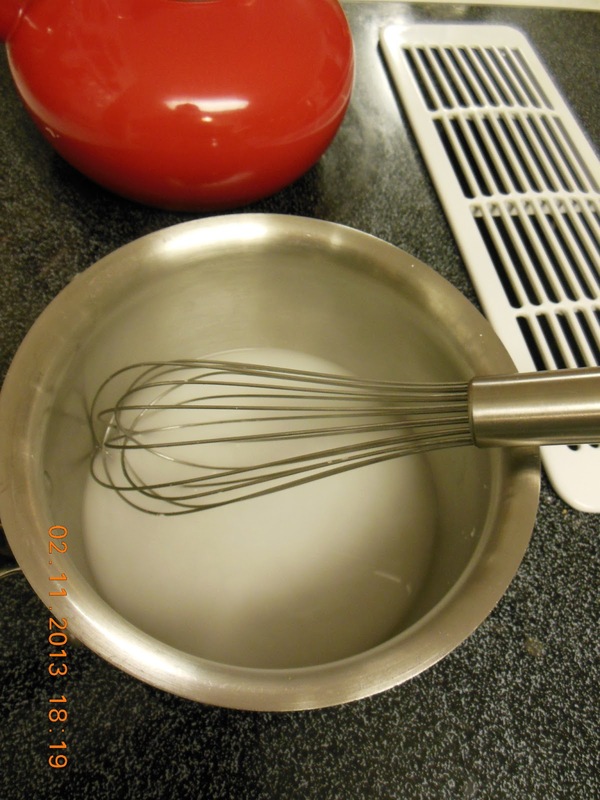 Whisk together all dry ingredients in a large (5qt) bowl or covered container. Separately, whisk together the water and yogurt until smooth, stir in olives. 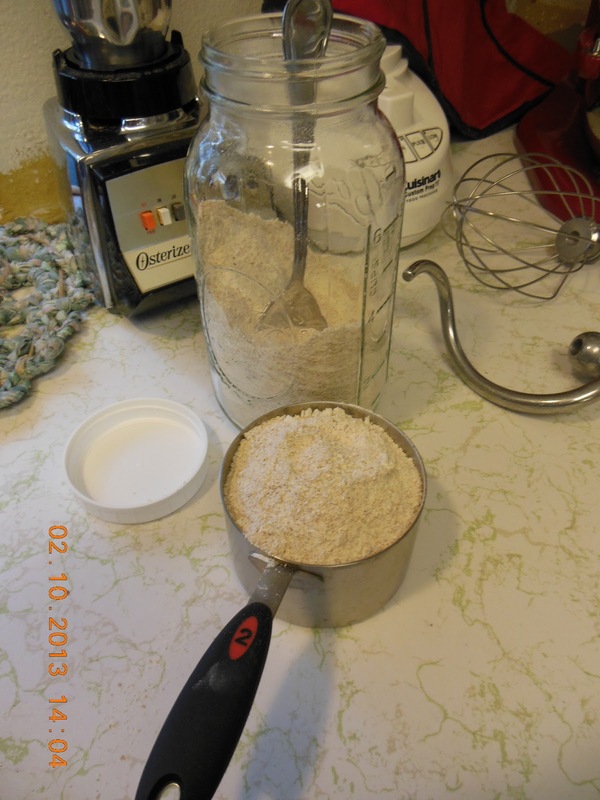 Add the wet ingredients to the dry ingredients, making sure to incorporate all dry ingredients and not leave behind pockets of flour. Cover and let rest 2 hours. 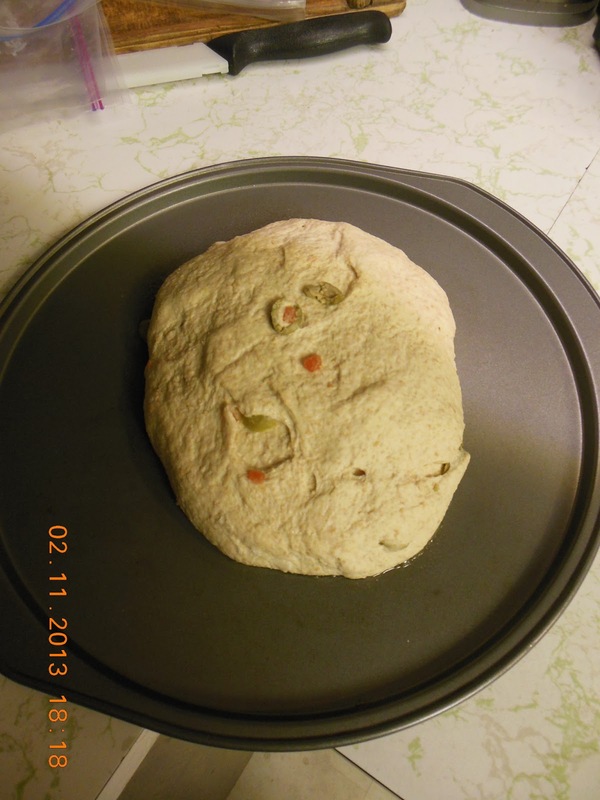 Prepare the dough and the oven. Remove a portion of the dough, approximately the size of a grapefruit. Shape. 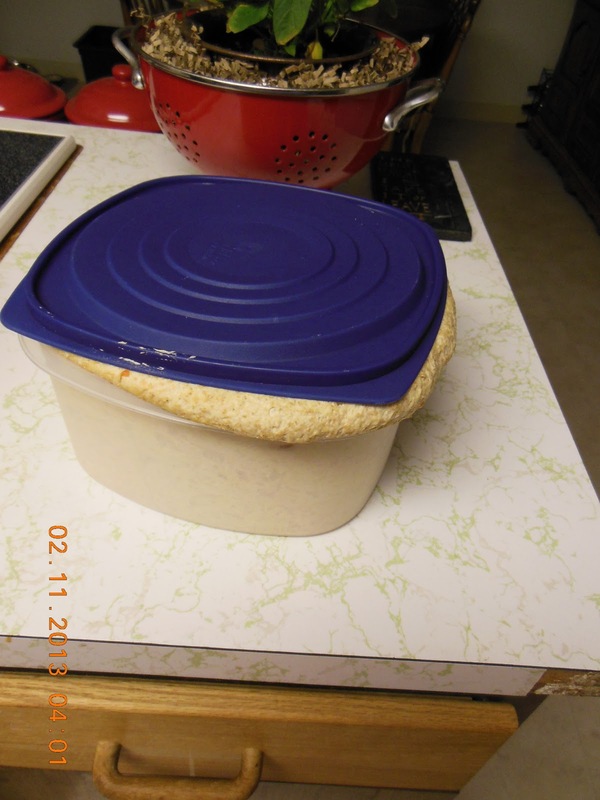 Stored doughs for the most part are wetter than a standard yeast dough. 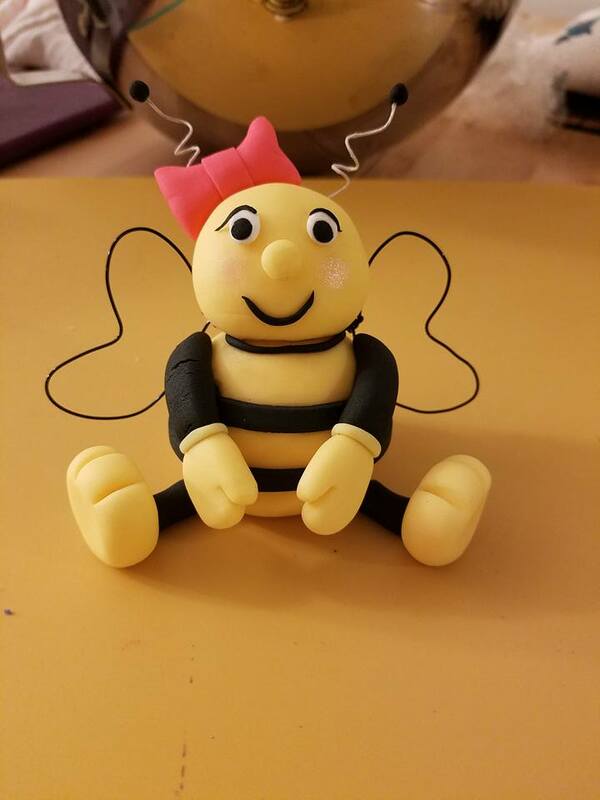 Quite sticky actually. To shape a loaf of bread, toss the portion of dough that will be baked (approximately 1/4 of original dough mass) on a pastry cloth sprinkled with flour. Take the outside corner and of the dough and bring it up and into the center of the ball. Turn and repeat until all four corner areas have been pulled into the center, turn over and you will have a ball shaped loaf. Place on a prepared cookie sheet or parchment. Let rise 90 minutes (for refrigerated dough). 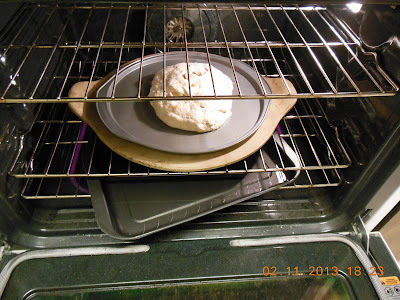 30 minutes before baking, place a broiler pan on the rack below (this will hold boiling water, to set the crust) and a baking stone on the rack that will hold the bread. Set oven to 450 degrees and preheat for that final rising time. 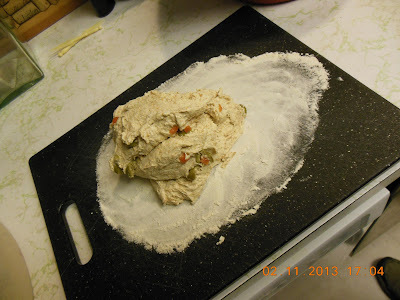 Slash the dough with a serrated blade knife approximately 1/4 inch deep. 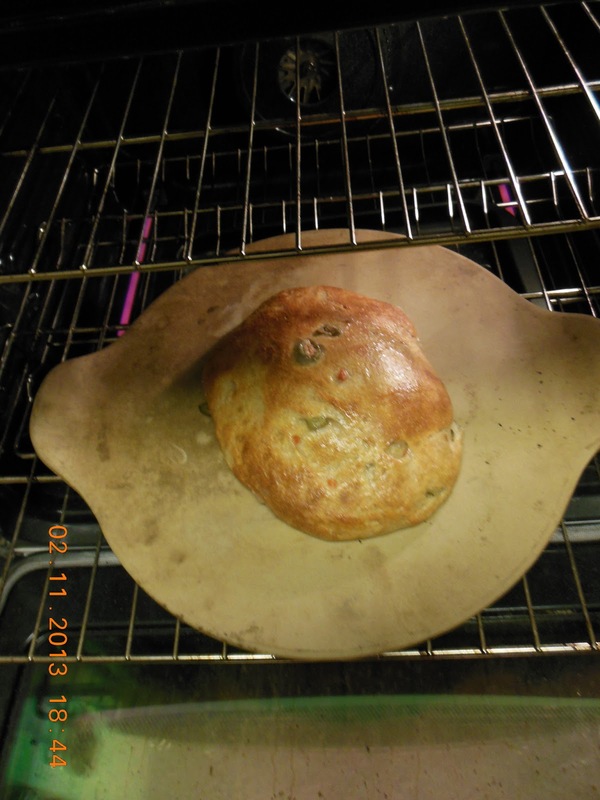 If desire, brush with dough glaze, see recipe below. Place the cookie sheet directly on the hot stone, pour 1/2 c HOT tap water into the broiler tray and quickly close the door. 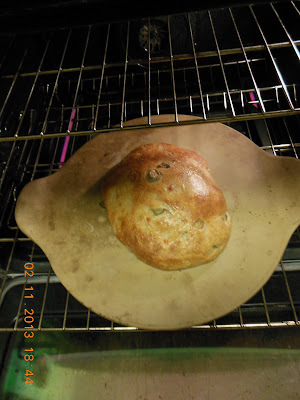 Bake 20-25 minutes, carefully slide the bread off the cookie sheet onto the hot stone to finish baking and develop a crust on the bottom, baking addition 10-15 minutes or until done. 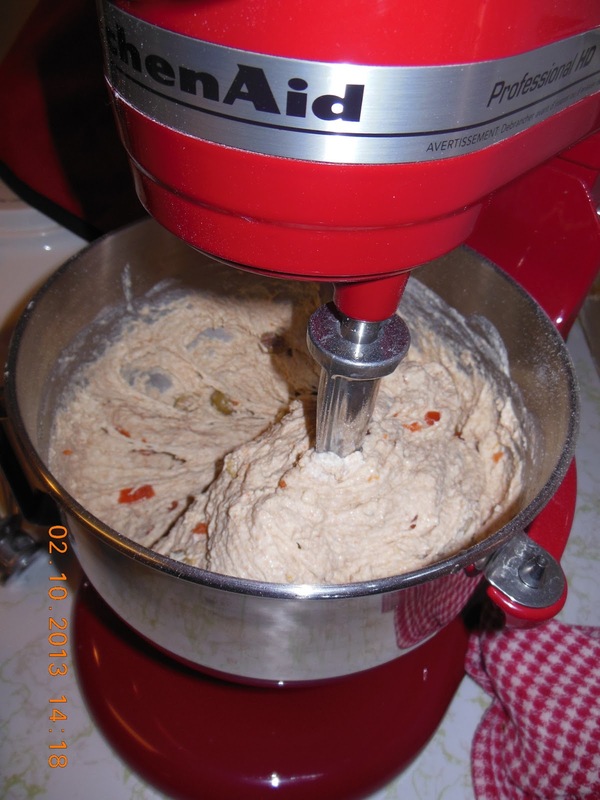 Remember, more or less dough than 1/4 of the recipe will require to adjust baking time. Remove from stone and place on rack to cool completely. 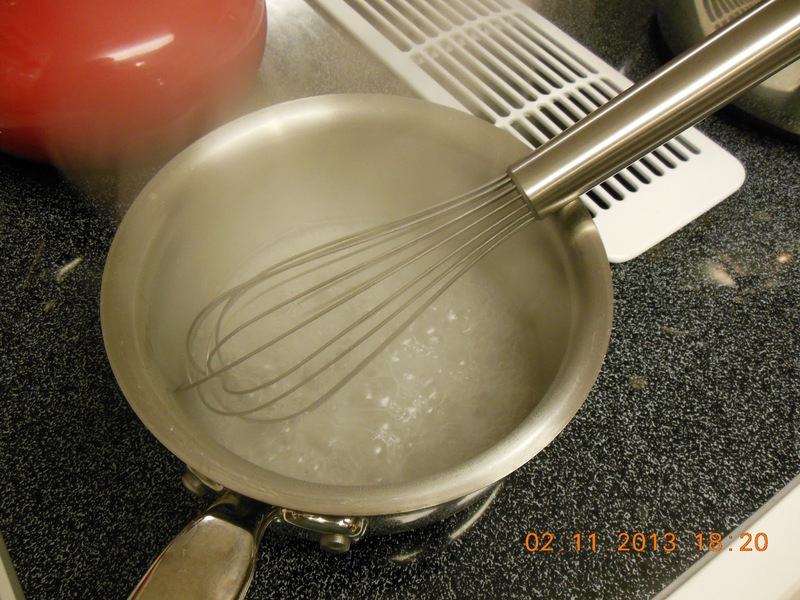 Combine in a medium saucepan, bring to a boil and boil until thickened and clear. Store covered in the refrigerator until needed to brush on dough before baking. This insures a beautiful and shiny crust. I would like a slice of that, toasted and smeared with cream cheese. I love the addition of the olives. 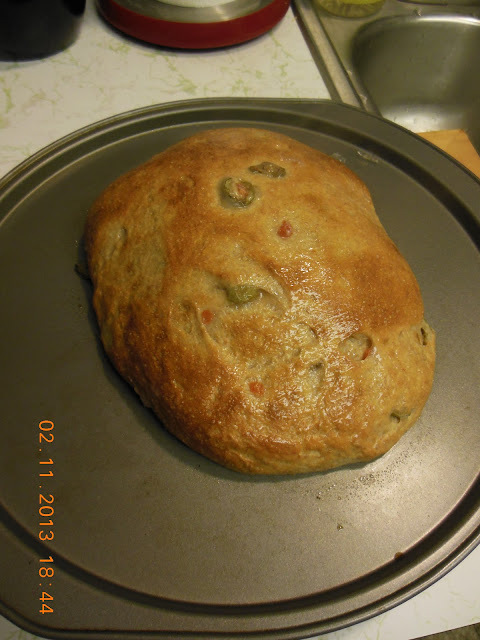 I love that this bread has green olives. Yum!